While everyone knows the seller’s ABC rule (always be closing), most B2B sales organizations spend a significant portion of time prospecting to build a healthier pipeline. And from where I sit studying the growth patterns in the data supplier market, I think it’s entirely fair to say that much of this is executed using cold lists of contacts. In a lot of companies, there are growing teams of young, hungry SDRs executing cadences against thousands of names. Meanwhile, marketing is also prospecting. In an effort to further add to the pipeline, they’re spending a whole lot of time in classic demand generation activities — identifying, qualifying and passing MQLs. And like their colleagues, because it never seems to be enough, they also get into a volume game, adding more and more low-quality “leads” at the top of the funnel in hopes that they’ll meet their KPIs coming out the other end. What’s wrong with this picture? Is it so hard to see that as quality goes down, volumes go up and that only makes matters worse? Enter ABM. On its face, having a designated set of accounts for special treatment should help get everyone on the team focused on achieving better outcomes. The challenge too many companies encounter right at the start is that they attempt to execute on a smaller account list in much of the same way that they were doing it before: marketing drives demand gen to these accounts and sales does prospecting into the same accounts. You can only imagine what this does for the experience on the customer’s side! One way to look at it is that a “lead” is a deliverable that should save a salesperson time, so that they can “always be closing.” At a minimum, it’s supposed to reduce the prospecting burden on sales. Unfortunately, in classical demand gen, ABC also means grabbing the first lead at the account and dispositioning those that come after as “already known” — an action that simply makes them disappear. In ABM, much of that needs to get turned on its head. The accounts are what’s important and those have been identified for you. While it’s no longer a simple volume game where you’re focused on sorting through haystacks looking for needles, ironically, in this account-based world, every single “lead” has become more important. The reason for that is even when doing ABM, no company can afford enough staff to do a perfect job of covering the opportunities bubbling along inside every account. Especially in ABM, where you expect extra investment in a special program to generate outsized returns, you need a way to prioritize which account and more specifically, which part of the account your costly sales team really needs to go after. For this reason, the definition of a marketing qualified lead needs to evolve to include an account-linkage concept of some kind and a sales qualified lead must be “enriched” with additional information before negative disposition can be considered. Simply put, more leads from the same account should lead to more focus on that account. Rather than focus on single leads, it’s now the account that you want to qualify. But that raises a good question: should you wait until there are more leads at that account to up your focus on it? If Not More Leads, Then What? The reality for most companies is that the lead identification process is simply not productive enough to help prioritize between accounts within an ABM list. Nor does the answer lie in repeating the volume approach of simply pounding out a call cadence to more names around the lead — that’s just taking a hammer to the problem. What leaders in the space are now doing is using high-quality, third-party purchase intent data to identify active prospects within the target account who have not yet surfaced as leads in their systems. So, while they’re not simply adding in more random names, they are in fact adding in more relevant, active contacts — specifically those who are consuming content directly related to a need they solve or a solution they sell. For ABM, purchase intent data supplies insights into what’s actually happening in an account, so that a team can know where to move on from and where to really dive in. It can identify active buying teams and even provide detail on competitive activity and the kinds of openers that sales teams should use to penetrate the opportunity. John Steinert is the CMO of TechTarget, where he helps bring the power of purchase intent-driven marketing and sales services to technology companies. 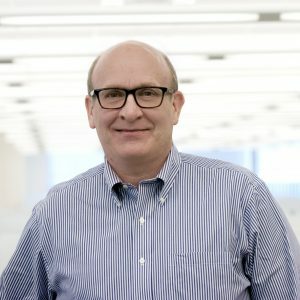 Having spent most of his career in B2B and tech, John has earned a notable reputation by helping build business for global leaders like Dell, IBM, Pitney Bowes and SAP — as well as for fast-growth, emerging players. He’s passionate about quality content, continuously improving processes and driving meaningful business results.